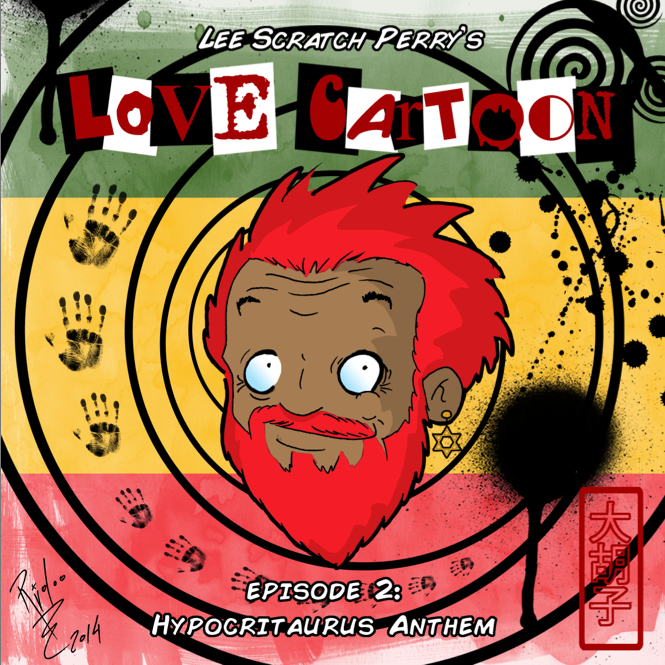 Run for cover now! 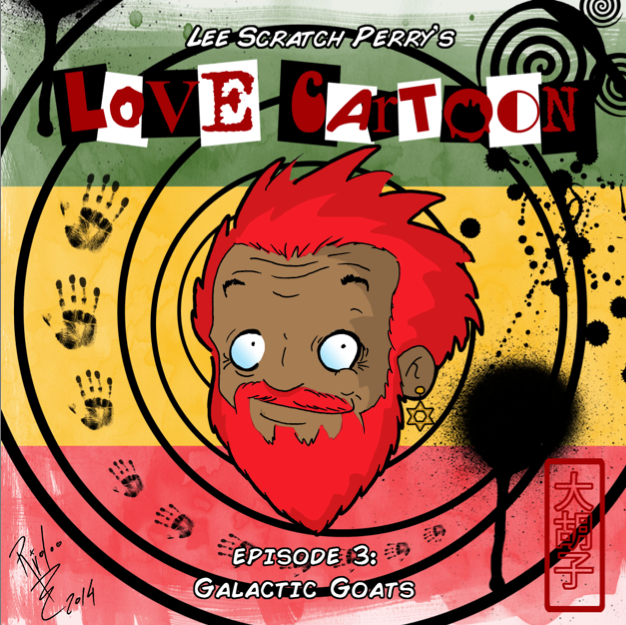 The Upsetter is taking over in the new comic strip number one in the universe. Lee Scratch Perry’s Love Cartoon is a super hypnotising, mesmerizing, entertaining and humour sustaining adventure series of good over evil. 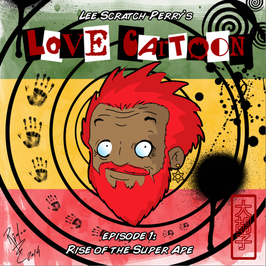 See how His Imperial Majesty dubs the Super Ape his supreme commander, the ultimate battle for Earth with Galactic Goats, incredibly ignorant dinosaur Bad Breath destroying London and many more in the fantastic, bombastic new adventures of the Super Ape. 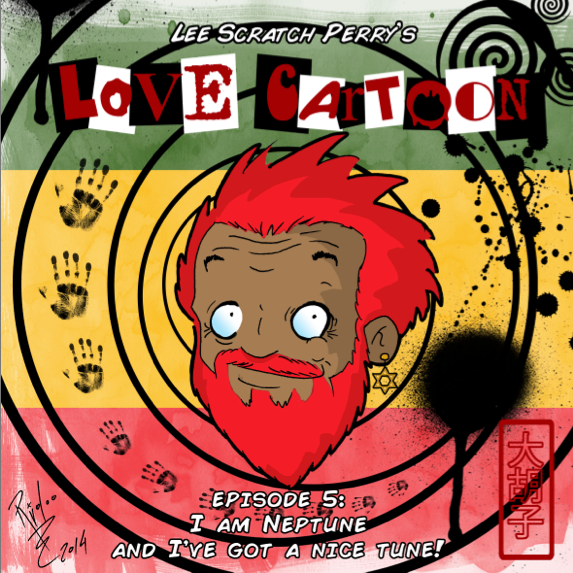 Lee Scratch Perry’s Love Cartoon will thrill you and swill you. Good over evil and love, love, love everywhere in the universe and in your bathroom.